There is so much contradictory information available about fasting that it can be difficult to decide which, if any, method to try. What may be good for one person can actually be detrimental to another. Fortunately, because Ayurveda recognizes the uniqueness of each individual, there are tools we can use to help us choose what will be most beneficial for us at any given time. One useful tool is discovering your current state of health. Take the free Ayurvedic Profile™ quiz to learn yours. When we choose to fast Ayurvedically, we are practicing pratyahara. Pratyahara is derived from two Sanskrit words: “prati,” which translates as against, and “ahara,” which means anything taken into the body. In practicing pratyahara, we deliberately choose what to take into our body-mind-spirit, whether it is food, breath, or sensory input. Pratyahara is twofold; as we choose to avoid that which is harmful, we open up to what is beneficial and contributes to our health and happiness. Ayurvedic fasting does not necessarily mean going completely without food. It does not mean depriving ourselves and suffering through hunger pangs. An Ayurvedic fast is very much about foods and liquids, but it involves eating a cleaner, lighter diet appropriate for our constitution or current state of health. Fasting and cleansing can be one in the same in Ayurveda, depending on the length and type of fast. Typically a fast is for a short period of time and a cleanse lasts longer. Generally during a longer cleanse, you will eat a mono-diet of kitchari. You can read more about this in An Introduction to Ayurvedic Cleansing. Many of us are overfed and undernourished. The majority of food in the United States lacks prana, or intelligence. We are consuming more processed foods, pesticides, fungicides, artificial fertilizers, preservatives, and chemical additives than ever before. Eating an abundance of low quality foods can lead to dis-ease in the body and frequent health imbalances. Additionally, when we overeat and choose poor quality foods, digestion suffers. Ayurveda says, you are not only what you eat, you are what you digest. When your digestive fire, or agni, is low, instead of cleanly digesting your foods, you begin to create and accumulate toxins or ama. Ama literally means “undigested food matter.” If you are new to the concepts of agni and ama, you can read more about these important concepts in The Importance of Healthy Digestion and Ama: The Antithesis of Agni. Ayurveda believes that ama is the root cause of all disease. Ama is a result of poor digestion of whatever we take into the body, which is why we need strong agni. When you first begin to accumulate ama, you may experience many things including cravings, mood swings, fatigue, fogginess, anxiety, bad breath, coating on the tongue, body odor, and sluggishness. If you continue to indulge in poor dietary habits and create more ama, this toxic undigested foodstuff eventually migrates into the bloodstream and circulates throughout the body. This sticky, heavy ama then settles into our “weak” spots, or khavaigunyas, eventually manifesting in more serious conditions. It is important to halt and eliminate ama before it causes deeper problems. The digestive organs are the largest organs in the body, require a tremendous amount of energy, and need rest. Resting the digestive tract by fasting frees up energy to be used for healing. Learning how to fast is an important part of understanding how to take care of our bodies and minds. We can incorporate fasting into our routine, just as we might turn to meditation to rest and soothe our minds. The body knows how to heal itself, and will do so if we provide it with the nourishment it needs. With fasting, the body feels lighter and regains its natural glow. As energy increases and the mind becomes clearer and more focused, it becomes easier to make the right choices to continue to thrive. As our bodies clear out unwanted toxins, we can connect with our consciousness more easily—this is why many spiritual traditions use fasting to increase spiritual growth and openness.  A simple first step to fasting is to begin to eliminate foods such as sugars, refined carbohydrates, gluten, commercial dairy products, unhealthy fats such as margarine, commercial meats, non-organic foods, genetically modified foods, processed foods, leftover foods, frozen foods, fast foods, caffeine, and alcohol. All of these substances tend to create ama and heaviness. If you can cut out one of these food categories for one full day, and then string that together into a few days, that’s a fast! Before beginning any type of fast, it is important to consider your constitution, current health challenges, digestion, presence of toxins, and vitality.2 If you do not know your constitution, or prakriti, or your current state of health, or vikriti, the Ayurvedic Profile™ quiz will get you started. If you are new to fasting or are experiencing a chronic illness, it is best to consult an Ayurvedic practitioner or your healthcare provider before undertaking a cleanse or beginning a fast. Ayurveda generally recommends short, regular fasting. This could mean once a week, once a month, or during the junction of seasons. Extended fasting is usually not recommended as it can weaken your digestion, create a disconnect between your mind and body, and can actually create problems that might take months to recover from.4 Following a mono-fast of simple, easily digestible foods such as fruits and vegetables, juices, or a simple and light stew called kitchari, allows the digestive system to rest and detoxify while providing simple nourishment and energy. A fruit or juice fast is only recommended for those who are healthy, and it is generally better for someone with a kapha constitution. A kitchari mono-fast is beneficial for everyone.5 Either a fruit, juice, or kitchari mono-diet can be tailored to each constitutional and health condition by an Ayurvedic practitioner. Absolute fasting (taking just water or even no water or food) is not recommended for most individuals. To learn how to make kitchari, you can watch this video on How to Make Kitchari. 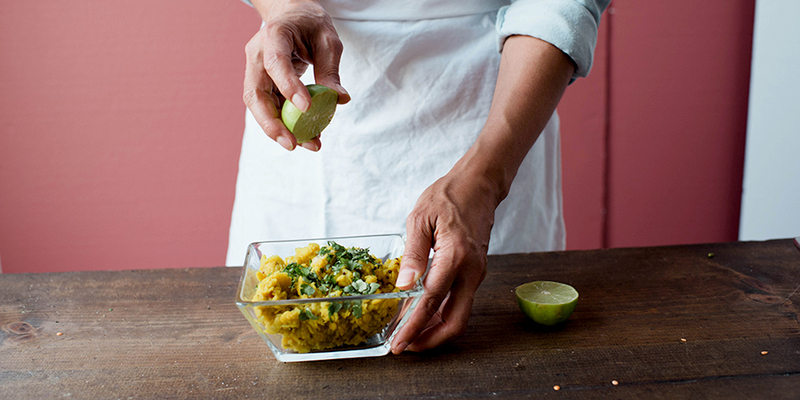 Banyan’s Kitchari Kit has all the ingredients you need and makes the process easy. Because fasting increases the qualities of light, dry, and cold, fasting can provoke vata. If you have a vata constitution or have a vata imbalance, you should never do a water fast, nor should you fast for more than two days. You can consider fasting during the change of the seasons or at most once a month. If you are in good health and have good vitality, you can mono-fast with sweet orange, mango, or grape juice, which are all vata pacifying.6 If a health condition exists, it is generally better to do a mono-fast of kitchari, being careful not to deplete yourself. Vatas can drink warming teas made with ginger, a pinch of salt, and a squeeze of lime, or ginger and fennel tea.7 A 12–24 hour fast is a good place to start. If you are kapha dominant and in good health, you may fast more regularly, up to three days a couple times a year on liquids such as hot water, lemon and honey, apple, or cranberry juice.9 Kaphas can add a bit of trikatu powder to increase their agni during the fast.10 In addition, it is often good for kaphas to fast one day a week throughout the year. Choose the length of your fast conservatively. You should not feel weak, depleted, irritated, or painfully hungry. If you experience any of these, you should introduce more solid foods immediately. Everyone should still eat their largest “meal” at lunch time when digestion is strongest, with a smaller meal for breakfast, and smaller still meal at dinner. Remember to eat only when you are hungry. A tea made of cumin, coriander, and fennel seeds (affectionately known as CCF Tea) is beneficial for everyone as it supports the digestive fire while gently removing toxins. Triphala is another herbal combination that is beneficial for most people during a fast as it is a gentle detoxifier and supports the digestive system while promoting healthy elimination. If you do choose to fast one day a week, it is better to choose the same day every week. If you are attuned to astrology, you can choose a day of the week to support your chart, or simply fast on the day of the week you were born. During a fast you may feel a little tired, light-headed, or have a headache as toxins are released and your body is purified. These are all good signs and will pass in a short time. If these symptoms persist, discontinue your fast. You should start to feel better and lighter as your body welcomes rejuvenation, increased energy, and clarity. Meditation and journaling are useful practices that are nourishing to your process during the fast. Remember to reduce your activity and allow for rest. Once you finish your fast, it is important not to jump back into a regular diet. After completing an all-day juice fast for instance, you might have fruit or a small amount of hot cereal for breakfast the next day, followed by a simple, easy to digest lunch. It is important to take the same amount of time to prepare, fast, and come off the fast. So if you are preparing to do a two day pomegranate juice fast, you would benefit from eating a lighter, cleaner diet for two days before you start, and take two days afterwards to slowly build your way back to your solid food diet. Otherwise, you may stress your digestive fire causing more harm than good. After the fast, it is not unusual to find that you have fewer cravings and are naturally drawn to foods that are good for you. As fasting is lightening, it can be slightly depleting for those who are young, very elderly, pregnant, breastfeeding, menstruating, are underweight or undernourished, or have a chronic illness. Be sure to consult with a physician if you have a medical condition or are on medications, and work with a qualified Ayurvedic practitioner who can guide you. As you prepare to add fasting to your healing routine, remember that Ayurveda is a very individualized system and it is important to honor and respect your own unique strengths and challenges. In time, you will gradually intuit when you need to fast and rest your system. In the meantime, I hope this supports you on your path to wholeness. 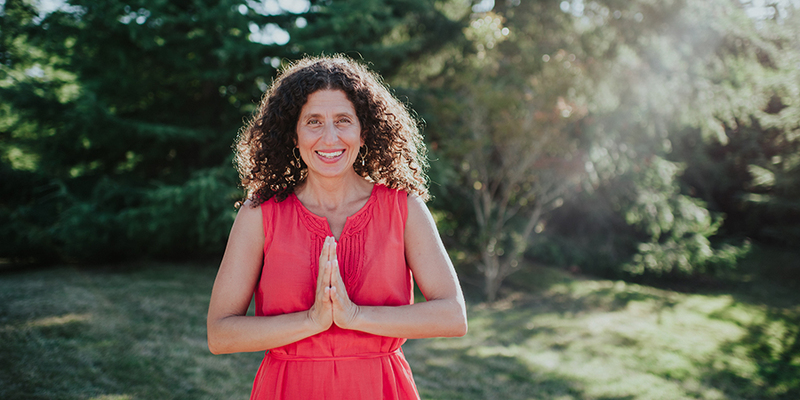 Janet Shivani Chase has studied and practiced Ayurveda and Yoga for more than 25 years. Her practice of yoga led her to attend the Ayurvedic Institute, where she will be forever grateful to her teachers, especially Dr. Vasant Lad. As a NAMA-certified Ayurvedic practitioner, Licensed Massage Therapist, and a Licensed Educator, Shivani is the founder of Balanced Life Ayurveda where she works with clients to improve their health and well-being through education, consultations, and treatments. She currently lives in the Ozark mountains with her husband Steven. She can be found on facebook. 1 Dr. Vasant Lad, Textbook of Ayurveda, Volume Three, (The Ayurvedic Press, New Mexico,2012), 142. 3 Dr. Vasant Lad, Textbook of Ayurveda, Volume Three, (The Ayurvedic Press, New Mexico,2012), 142. 5 Dr. Vasant Lad, Textbook of Ayurveda, Volume Three, (The Ayurvedic Press, New Mexico,2012), 67-68. 6 Dr. Vasant Lad, Ayurveda, The Science of Self-Healing, (Lotus Press, Wisconsin, 1985),86. 7 Dr. Robert Svoboda, Prakruti (Geocom, New Mexico, 1989), 136. 9 Dr. Vasant Lad, Textbook of Ayurveda, Volume Three, (The Ayurvedic Press, New Mexico,2012), 142. 10 Dr. Robert Svoboda, Prakruti (Geocom, New Mexico, 1989), 136.